This drink is super versatile (not just for brunch! ), and while there are tons of ways to jazz it up with insane garnish, a basic yet delicious Bloody Mary is easy to make. To learn how to make the Sriracha rim salt in the picture, check this out. Here's the recipe for the classic 2:1:1 ratio. Important here is making sure you use quality orange liqueur, preferably Cointreau. Once you've perfected this, you can move on to frozen margaritas, which surprisingly, are more complicated than just putting a marg on the rocks in the blender. Once you perfect your margarita, its cousin the sidecar (made with brandy) will be a piece of cake. Made with whiskey, sweet vermouth, and Angostura bitters, this classic cocktail definitely requires more precision than the sugary, citrus drinks above. But that's also its greatest virtue: It's all booze. You can also check out this video for step-by-step instructions. You can obviously feel free to add more kinds of fruit, but this five-ingredient recipe will give you an awesome red-wine sangria with minimal effort. Having a good recipe for this in your arsenal is like having a well-curated résumé — it pays off again and again. They say sangria can't buy you love, but...it might. So easy that you can probably guess the recipe if you've ever tried one. 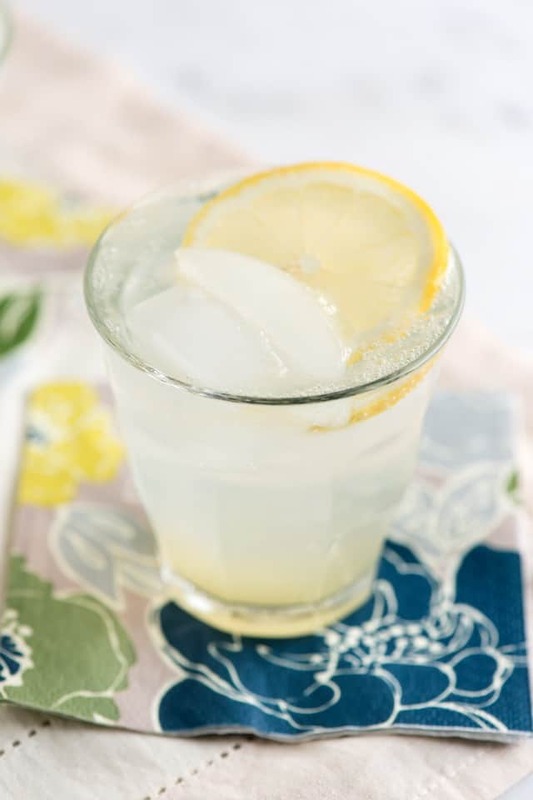 Despite seeming like a country-clubbing dad drink, a Tom Collins is definitely something you should learn to make in your twenties because it's quick and delicious. It's almost the same as a gin fizz, but with additional citrus flavor from the orange slice, and the delightful bonus of a maraschino cherry. If you're up for it, learn how to make delicious homemade maraschino cherries, without all of the creepy chemicals. This is a great party trick to have up your sleeve. It's also a great thing to make at home, since bartenders will give you so much side-eye if you order a mojito on a busy night (fresh mint requires serious muddling). Get the recipe here. A delicious whiskey sour requires good whiskey (Bourbon or Tennessee Whiskey) and fresh citrus — NOT sour mix from a bottle. If you're a thrill-seeker, you can even add egg white for froth. For this drink, just mix 1 part vodka with 2 parts ginger beer, a squeeze of lime, and ice in a collins or highball glass. That is, unless you have an authentic copper Moscow mule mug. Not the smoothie-esque beach resort kind of daiquiri, but a simple, stripped-down version like this. The negroni is extremely easy to make, has high alcohol content, and extremely yummy if you like the bittersweet taste of Campari. Be warned: This cocktail has a very impassioned cult following (and a backlash to go with it). This one is 3 parts gin or vodka, 2 parts fresh squeezed lime juice, and 2 parts simple syrup on ice. These look really impressive with a lime wheel as garnish. For, like, when your dad visits. This is the perfect classy drink to serve at your grown-up functions/New Year's Eve parties. Soak a sugar cube with two or three dashes of Angostura bitters and drop it into a glass of brut champagne. Top it off with a fancy little lemon twist. One part dark rum (technically the "Dark 'N Stormy" is trademarked by Gosling's Black Seal Rum), 2 parts ginger beer, lime juice, and ice. The trick to a really great dark and stormy is adding a bit of raw ginger or sweetened ginger syrup for an extra kick. This one you should learn to make at home because if you order them at a bar, or on Kentucky Derby Day, you're likely to get a gross, pre-mixed impostor. A real Mint Julep is slightly labor-intensive, but totally worth it. Mixing cream and liquor tends to creep a lot of people under the age of 40 out, but so what, the Dude drinks these. You should probably know how to make a Martini even if you don't enjoy drinking them, because you will inevitably be asked to make one should you ever invite friends over for drinks. A helpful recipe that distinguishes normal from "dry" from "bone-dry" here. For when you need to prove you're still fun. Note: You will need a cocktail shaker to make a lot of these drinks properly (but if you just stir them instead, we won't tell).